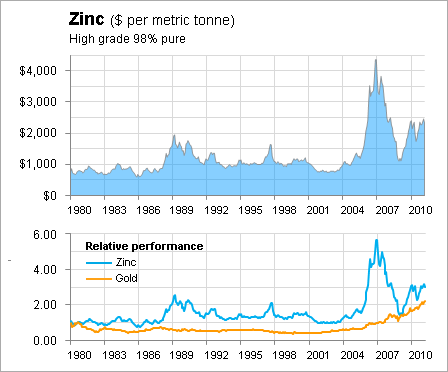 I found an interesting dataset at the IMF of commodity prices going back to 1980. 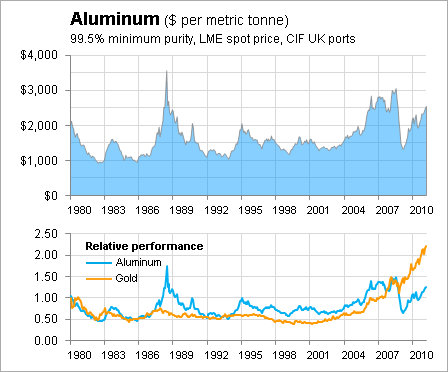 What makes it interesting is to look at the longer-term price trends of some of the industrial metals you don't often don't see charted, such as aluminum, tin, lead, zinc, and nickel. 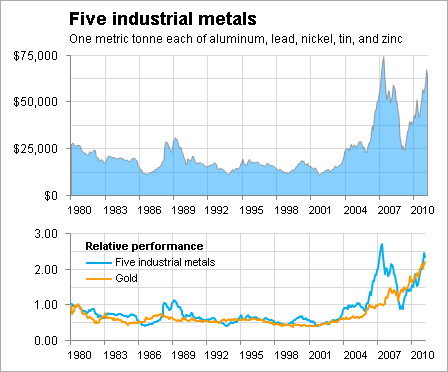 I plotted a graph for each of these metals along with a smaller chart that shows each metal's relative performance against gold. Just to be clear, I'm not suggesting that any of these industrial metals could be a replacement for gold as an investment. 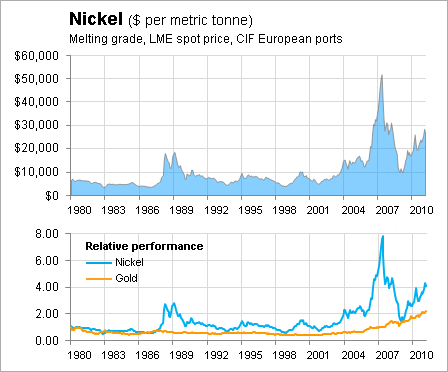 That's because it's certainly not that practical to own and pay for storing a metric tonne of nickel as opposed to a few ounces of gold. On the other hand, all these industrial metals are priced in U.S. dollars, so these charts might look different if priced in Australian or Canadian dollars, for example. That's why a comparison to gold seems even more relevant. Prices in general seemed steady until they began climbing about a decade ago. 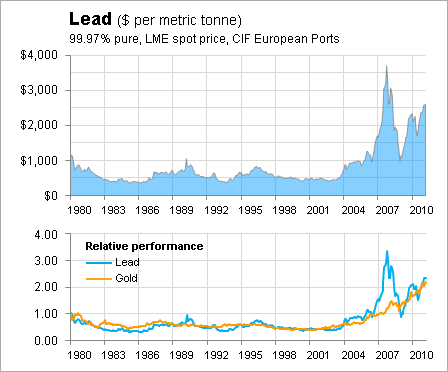 Prices collapsed after the financial crisis, but some of these metals are now making new highs. Just for fun, what if you'd purchased one metric tonne of each metal? Here's a look at the price for all five, plus a comparison to gold. 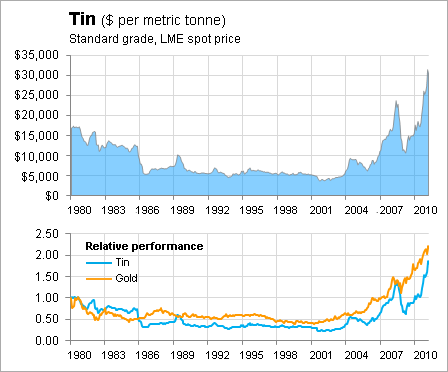 There's not much difference between the relative pricing of all five of these metals against gold. There was certainly a divergence in the 2006-2008 time frame, but in general you could conclude that gold is doing its job at tracking relative value. Disclosure: I am long GLD.